Vubiz began operations in late 1995 as a not-for-profit company called the Learning Institute for Small and Medium Sized Enterprise. It was founded by John Bulloch, Founder and Past President of the Canadian Federation of Independent Business (CFIB). In 2000, the company was incorporated and changed its legal name to Vubiz Ltd. (Virtual University for Business). Today, Vubiz is a thriving, international elearning company with a solid reputation for award-winning elearning, unbeatable value and outstanding customer service. Vubiz provides full service—content, development, and delivery software—offering solutions that are extraordinarily flexible in practice. By having thousands of hours of ‘off-the-shelf’ content available for purchase ‘as-is’ or ‘tailored’ to a specific client situation, we differentiate ourselves from most inflexible elearning suppliers. By being lean as well as having a flexible business model, we can be lower priced than many companies—a key differentiator on a point of Value. Vubiz’s service commitment begins with our ‘partnership’ approach that specifically requires we understand our client’s goals and commit to achieving their objectives. Our service commitment is to always meet project expectations and commonly exceed them. We seek to secure a testament to this service commitment with each and every client. As a testament to this, Vubiz has been an award winner for “customer service” issued by the National Quality Institute. The Vubiz team collectively has over 50 years experience in managing multiple eLearning projects in over 300 ELearning training initiatives from initial requirements analysis through to deployment. Our diverse team of project managers, instructional designers and multimedia developers work together to ensure we consistently deliver high quality eLearning products on time and on budget. Jim Rapino, Vubiz President and CEO, is a leading executive and elearning expert and our Senior VP and CTO, Peter Bulloch, is a solid technical professional. This combination enables us to lead in varied learning environments in Canada, the US and globally. Our expertise in specialized eLearning software applications and operations includes seasoned eLearning specialists in software application design and development, account management, human resources and support. Vubiz’s difference is our experience, people and technology backed by our service commitment and competitive differentiation. John is the Founder and Past President of the Canadian Federation of Independent Business (CFIB), an organization founded in 1971 that represents the interests of small and medium-sized Canadian owned enterprises. The Federation under Mr. Bulloch's leadership funded small business research at universities and community colleges across Canada and served as an advisor to Prime Ministers, Cabinet Ministers and Premiers on small business policy issues. He is an authority on a range of small business issues as a result of 25 years experience as a public policy advocate. He has often represented Canada at OECD conferences focusing on small business policy. In 1981 John was honoured with a Fellowship from Ryerson Polytechnic University , and in 1987 was the recipient of the Distinguished Business Alumni Award from the University of Toronto and the Wilford L. White Fellowship from the International Council for Small Business - for leadership and commitment to small business throughout the world. 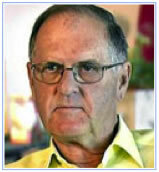 In 1996, John Bulloch was appointed a Member of the Order of Canada. Jim comes to Vubiz from the Confederation College of Applied Arts and Technology, where he was Dean of Business and Ventures, and was responsible for a wide range of post secondary programs in the areas of international business, entrepreneurship, business, computer systems, aboriginal studies, human resources, marketing, hospitality and tourism and a Masters degree program in international business management. Jim has spearheaded many entrepreneurial endeavours: he was the Founder and General Manager of the Northwest Enterprise Centre which is involved in the development and delivery of non-traditional education primarily aimed at assisting small business owners and starters; he launched the Centre of Entrepreneurship for the Northwest which is dedicated to promoting education, research and community awareness; as well as the Northern Ontario Marketplace, a center dedicated to improving the productivity of northern suppliers. Jim also developed and launched the Institute for Global Entrepreneurship and Electronic Commerce. As President and CEO, Jim is responsible for the strategic direction, management and growth of Vubiz. Paul has a lifetime of experience in manufacturing and public service. He has had ownership and leadership roles in a number of family businesses engaged in the production of scientific glass and related products: Proscience Inc., Sci-Can Scientific Ltd, Proscience Inc./TechniGlass, Johns Scientific Inc. and others. He has served as a Foreign Service Officer and Trade Commissioner for the Government of Canada in Rio de Janeiro; as a Director of the Ontario Worker's Compensation Board, President of the Canadian Red Cross (Ontario Division), as a member of the Board of Governors of the Canadian Red Cross; and as a Trustee of the United Way of Metro Toronto. 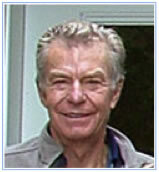 Mr. Richards is also an angel investor with a number of investments in small Canadian companies. He is a welcome asset to the Vubiz Board. Michael Rapino is the Chief Executive Officer and President of Live Nation Worldwide, Inc. (http://www.livenation.com) a position he’s held since 2005. Previously, he was CEO / President of Global Music for Clear Channel’s World Music Group. In 2003, Mr. Rapino served as CEO/President of Live Nation's International Music division. 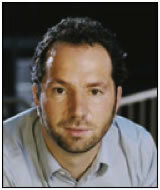 From 2001 to 2003, he served as CEO of European Music division of Live Nation. Canadian born Rapino worked at Labatt's Breweries of Canada for 10 years in various progressive marketing, and entertainment roles. 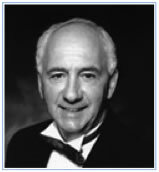 While at Labatt's, Rapino was Director of Entertainment and Sports and worked closely with Labatt's owned Toronto Blue Jays and CPI, the largest concert promoter in Canada. He subsequently became head of Labatt Marketing brands. Vubiz welcomes Michael's expertise to its Board.